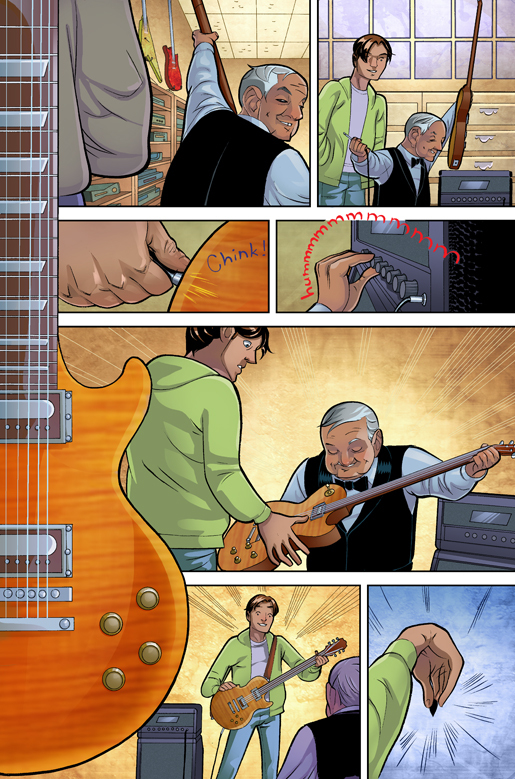 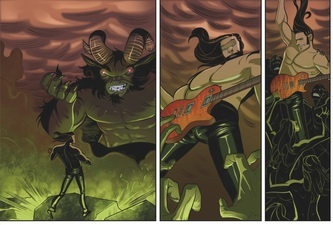 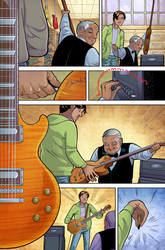 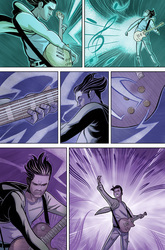 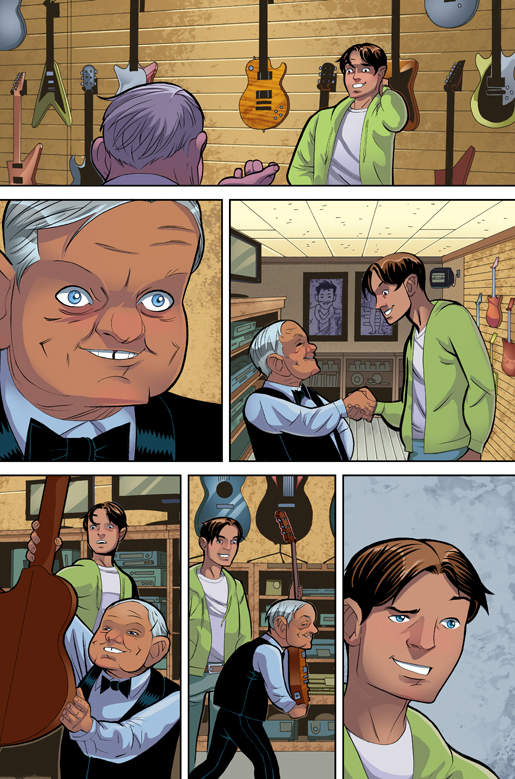 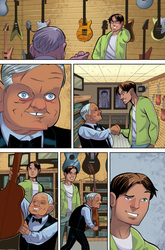 Action sequence from GUITAR PHANTASY (Carl Peterson, pencils/inks; Robt Snyder, colors). 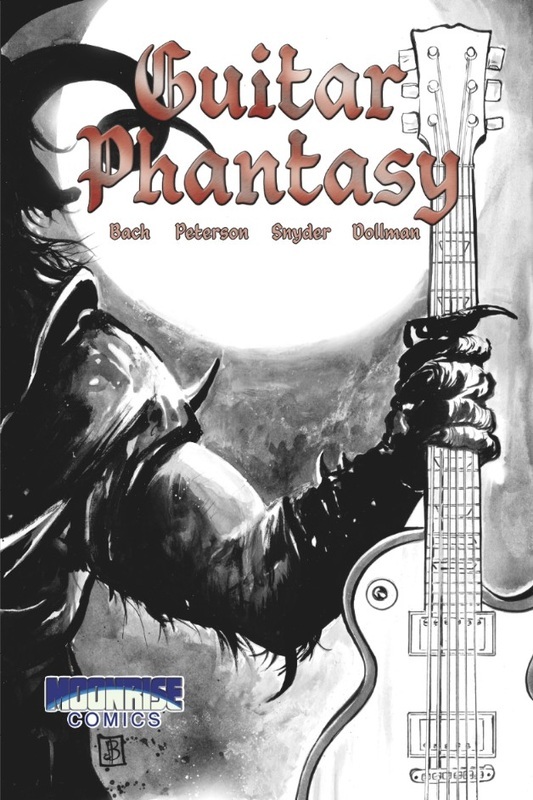 GUITAR PHANTASY cover (art by Silvio dB). boy meets guitar; boy fights demons.